Greenwich Book Time sells discount books, with many titles under Â£5. 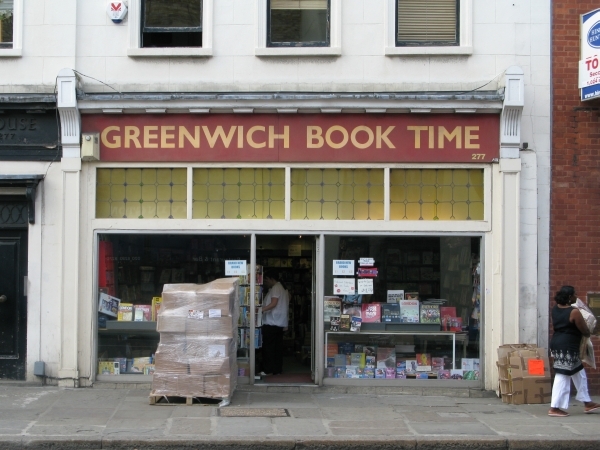 Greenwich Book Time is located on Greenwich High Road. Find your way to Greenwich Book Time by public transport with Transport For London's Journey Planner.